Google's List Carousel is so Interesting! John Mueller from Google had earlier explained that they rank such lists using an algorithm which is different from the main algorithm. (Twitter discussion). 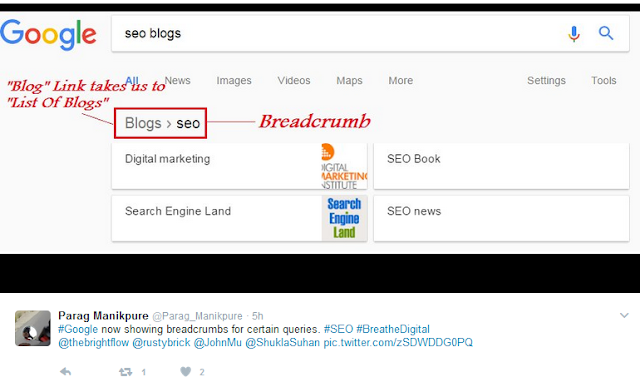 In a recent Tweet, we found similar featured snippet but with a breadcrumb at the top. Now why would someone leave Google and visit a site from their search results? You are getting most of your queries answered on Google's search results page through knowledge graphs, featured snippets, answer boxes and what not! Another CTR concerns for the top three ranking sites in organic listings for such queries? I should say, unfortunately Yes! Its true that carousel looks beautiful and display the list of big brands n people as per the separate algo. But is the algo same for all verticals or differ on the basis of verticals behavior? Hi Richa. Thanks for the comment. Things are still pretty unclear. 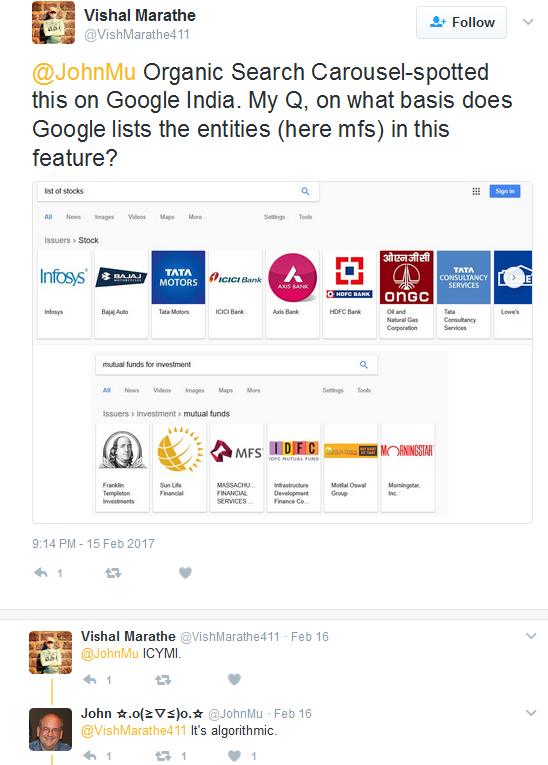 In one of the tweets, Google's Gary Illyes said the lists are being picked from various sites. So I believe, currently this listing is limited to certain generic queries and verticals only. This is interesting development. Let us see the impact, I can be corrected. Conventional SERPs have taken back. Knowledge graphs are prioritised. When banks are positioned as aggregators, how should it align for customer needs. Hi Bala. Thanks for your comment. Yes you have an interesting observation. Since this feature is in it's infant stage, hard to comment anything right now. Advent of RankBrain has changed the way Google looks at queries. So a travel destination query returning PL or membership rewards SERPs is highly impossible. As far as applying efforts on SEO for such a feature, we should first note that these listings are available for very generic and limited queries. So putting an effort on this is not worthwhile, especially when Google has just informed that they use a separate algo for this and additionally they are picking such lists from some sites (Example- top sites query has a list which they say have picked from Alexa. The good thing to be learnt from RankBrain, Knowledge graphs, Featured snippets or even this list carousel is, Google is constantly emphasising on content. Imagine a bank site ranking in top three for a query such as top destinations in India. That can be a good idea. An article on a bank's blog talking about top destinations and cross selling products like travel insurance, PL or any partner offer there. 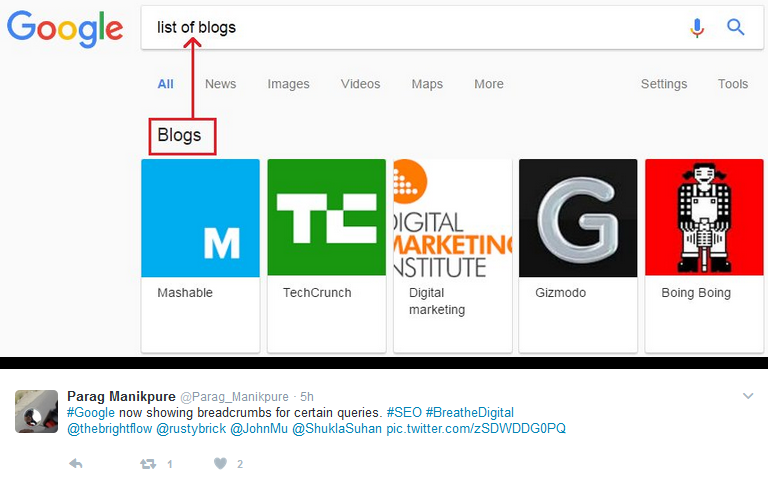 This raises a huge need of a great content hub on any website be it a bank or a philanthropy site.